A head-on collision occurs when the front of one vehicle collides with the front of another while both vehicles are in motion. Head-on collisions are considered to be the most dangerous kind of car crashes because of their high rate of fatality. The National Highway Traffic Safety Administration claims that head-on collisions make up 2% of all accidents on our roads and that these type of collisions account for 10% of all traffic fatalities. Motorists and passengers involved in head-on collisions rarely walk away unscathed. 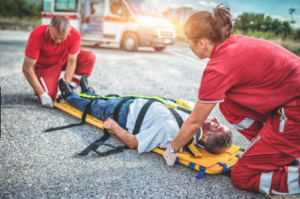 Individuals who survive head-on collisions are often held back by debilitating injuries that require costly medical care and extensive rehabilitation. Brain injuries, broken limbs, and burns are not uncommon. These injuries can seriously diminish a victim’s quality of life. Head-on collisions may also cause long-term psychological injuries like memory loss and post-traumatic stress disorder (PTSD). If a negligent driver injures you or damages your property in a head-on collision, you have the right to hold that driver liable for your injuries and for the damage to your property. It is important to know your rights if you are the victim of a head-on collision. 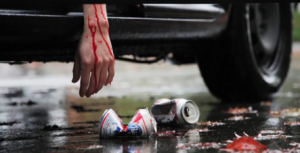 Drunk Driving – Drunk drivers are known for breaking traffic laws and for traveling the wrong way on one-way streets. They also tend to swerve out of their lanes which can result in head-on crashes. Fatigued Drivers – Fatigued and tired drivers often lose focus and control over their car, which can lead them into oncoming traffic. Dangerous Maneuvers – Impatient drivers who try to pass traffic by breaching a double yellow line risk a head-on collision. Road Conditions – Road conditions can be a major factor. Hazards such as debris and potholes can affect commuters and lead them into oncoming traffic. Cellular Addicts – Drivers who text while driving often depart from their lanes while they are not looking at the road. Contact the Law Office Of Shannon J Sagan if you or a family member has been injured in a head on collision. 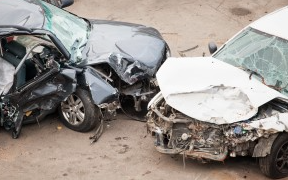 My legal team has secured many lucrative verdicts and settlements for victims of vehicle accidents. We have the resources and the legal acumen to fight for your rights and to maximize the value of your case. Please call 1800-fla-lawyer for a free consultation.